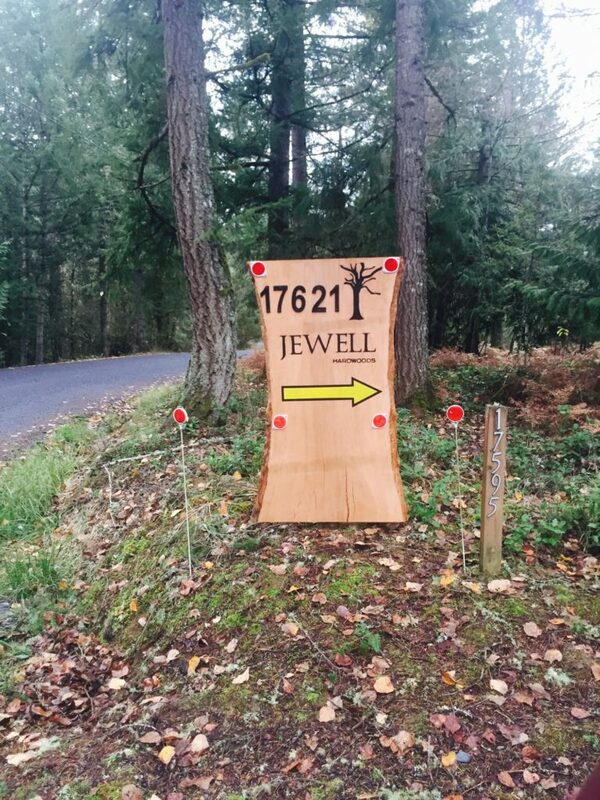 Our 5 acre Jewell Hardwoods property is approximately 20 minutes off of I-205 Exit 12 (Clackamas/Estacada/Hwy 212). PLEASE MAKE A NOTE OF THESE DIRECTIONS AS MOST MAP/GPS PROGRAMS WILL NOT GIVE YOU THE LAST TURNS CORRECTLY. We are 1/2 mile up Palmer on the Right. Look for our sign in the picture below. Take that gravel driveway to the very end till you get to the showroom. We offer free pickup from our Jewell Hardwoods showroom location. Furniture is a $150.00 delivery charge within Portland, Oregon Metro area within 20 mile radius of Portland proper. For delivery outside of these options we offer UPS for smaller items or LTL freight for larger pieces. Please contact our office for a shipping quote on furniture orders. In most cases, we have found our LTL Freight shipping quotes are significantly lower when shipped to a business location which is classified as commercial. Each shipped order will include a nominal handling/packaging charge. We accept Cash (in person), Check, Money Orders, and all major Credit Cards, as well as orders placed on this site through our secure e-commerce store.